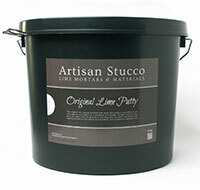 Hydrated and aged for a minimum of 6 months, Artisan Stucco Original Lime Putty contains a minimum of 95% calcium carbonate. 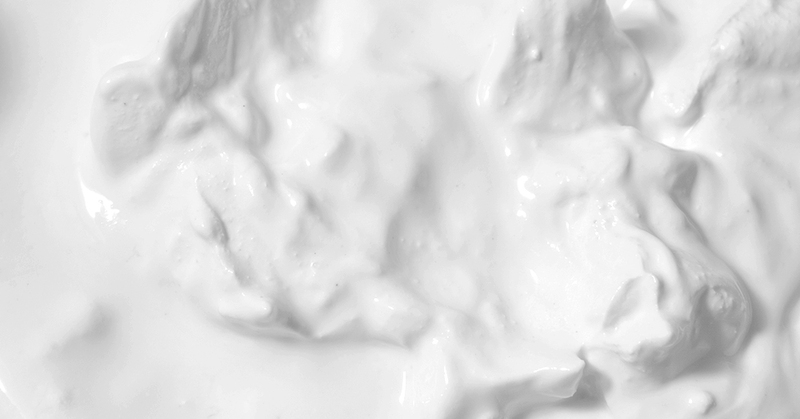 Made from Spanish quarries favoured since Roman times, this pure bright white lime forms the perfect base for mortars that are elastic, air permeable, water resistant and anti fungal. 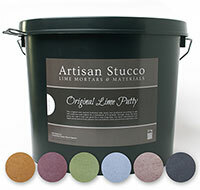 Original Lime putty can be stored indefinately and will even improve in quality over time. Your lime wall will constantly absorb carbon dioxide and any excess of humidity from its environment, helping with temperature regulation and improving air quality. 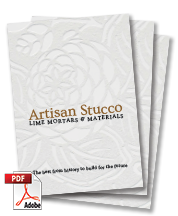 Lime mortars keep hardening during their life time without losing their elasticity. With this lime you will be able to produce high quality, aesthetically beautiful and ecologically friendly mortars for interiors and exteriors, restoration, masonry and even high humidity situations like basements and bathrooms. 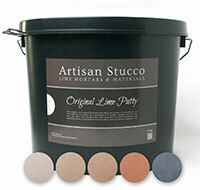 Original Lime Putty comes in durable 20kg buckets and is available in pure white and 11 brilliant colours. Bright white lime putty without additives; the basis for mixing all air lime mortars. Can be coloured with Artisan Stucco Natural Pigments. Lime putty of the best quality, coloured with mineral pigments. Ready to mix in mortars for finishing layers. For the brightest coloured results we advice to use our bright white Artisan Stucco Marble sands and Marble powder. Original Lime Putty Earth Colours contain no additives besides the pigments. The used pigments are UV resistant and suitable for indoor and outdoor use. Original Lime Putty Oxide Colours contain no additives besides the pigments. The used pigments are UV resistant and suitable for indoor and outdoor use.